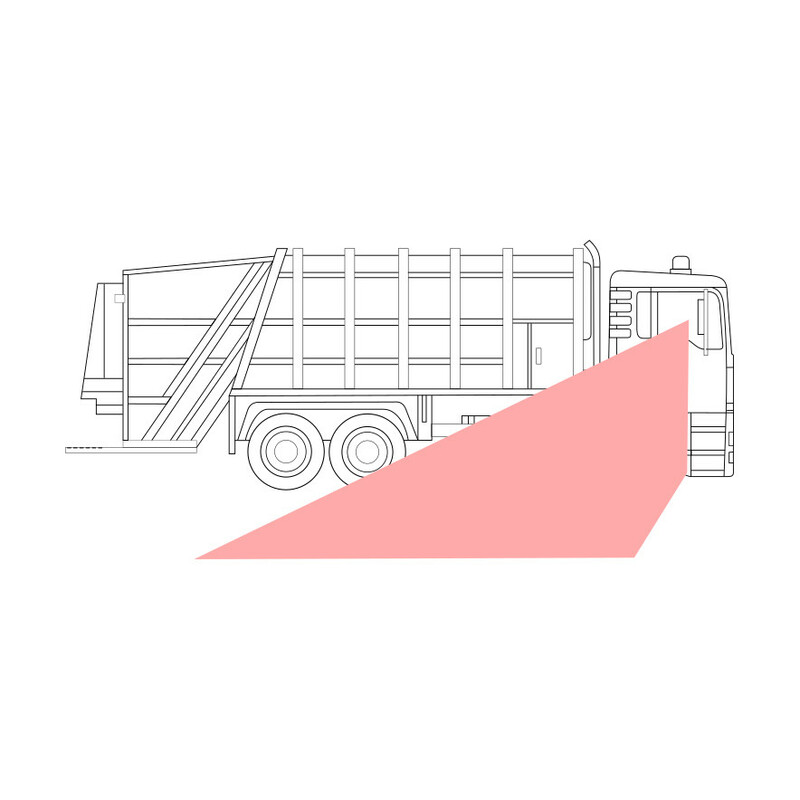 The blind spot of a refuse collection vehicle requires a special system in order not to increase the demands on the driver, but to relieve the driver. 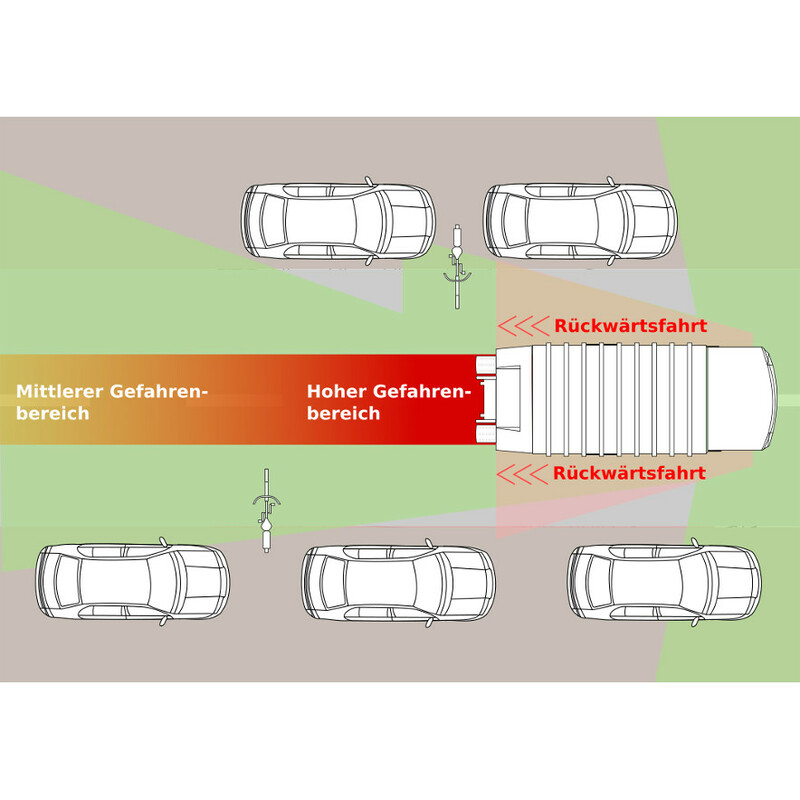 TruckWarn's ASF blind spot system meets exactly these requirements. Our side scan system works actively and warns the rider actively against cyclists or people in the blind spot, without additional monitor or LCD display which must be additionally monitored by the rider. Depending on the danger zone, TruckWarn warns of possible dangers by means of an alarm flashing light or, in the event of increased danger, additionally by means of an alarm tone. 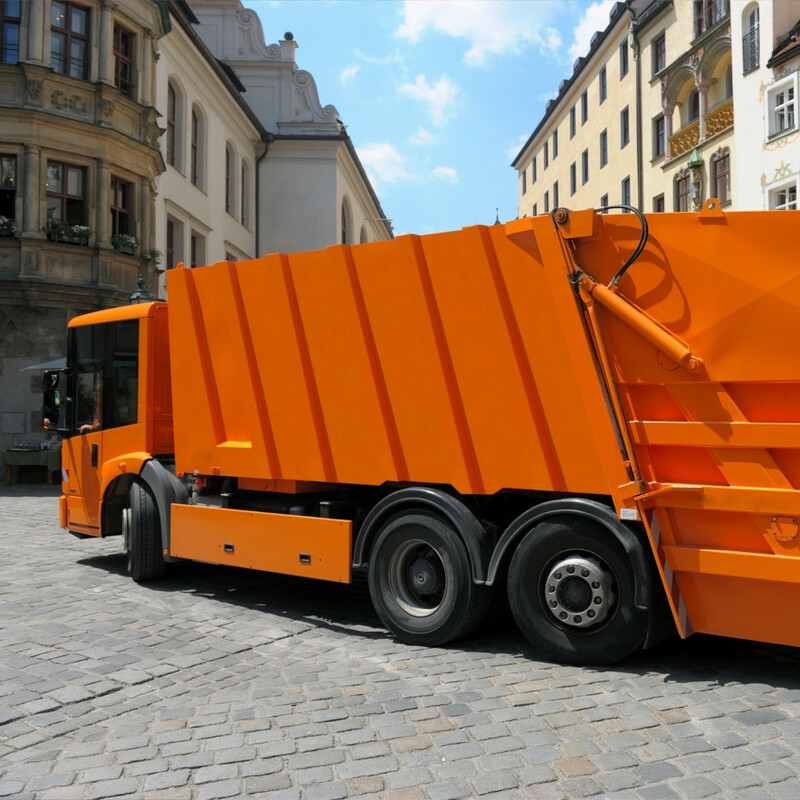 The demands on the driver of a refuse collection vehicle are already quite high, so that a further system must not make any further demands, but must actively support and even relieve the driver in dangerous situations. How does the blind spot assistant work? 4 special XXL sensors monitor the area directly next to the garbage truck and detect cyclists, people or vehicles in the blind spot, which is difficult or even impossible for the driver to see through the side mirror. If someone is in the danger zone next to the truck when turning or changing lanes, the system first warns the driver with a flashing LED or, if there is an increased danger, with an alarm signal. 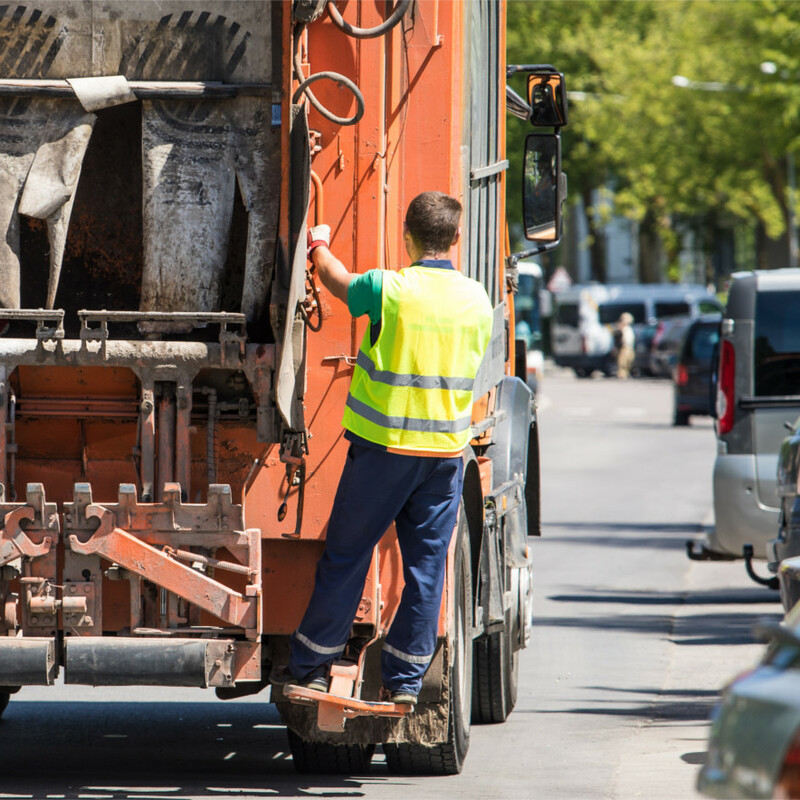 Even if the driver of the garbage truck is distracted, the system actively warns as soon as, for example, a cyclist is next to the garbage truck. Our blind spot assistant can prevent accidents with cyclists and pedestrians and thus save lives. Dangerous situations can be considerably defused and especially the danger of overlooking a cyclist in the blind spot when turning can be considerably reduced. CaraWarn develops assistance systems that work reliably, actively relieve the driver in dangerous situations and can be retrofitted cost-effectively to almost any vehicle. TruckWarn blind spot system for refuse collection vehicles is inexpensive to purchase and does not produce any maintenance costs. This makes our blind spot systems so interesting for municipalities, communities and any waste management company. 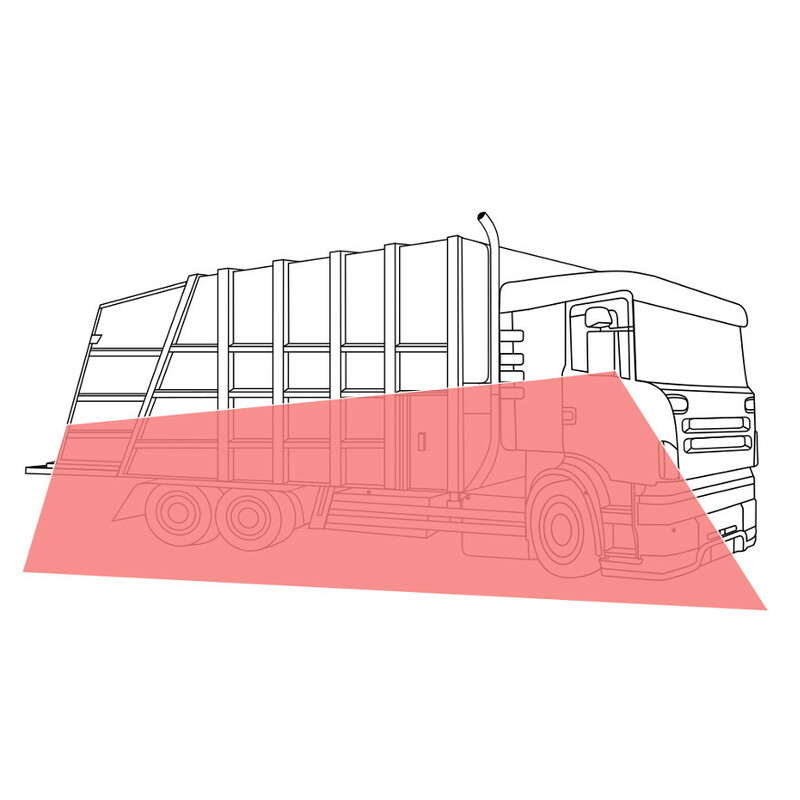 With TruckWarn, even on a small budget, an entire fleet of vehicles can be equipped in order to provide a short-term solution to the problem of the blind spot in municipal vehicles. Because every accident is one too many. Our TruckWarn blind spot system has already prevailed several times in direct comparison against other blind spot systems on the market. Why? We are not afraid of direct comparison. We will organise a test installation for you at short notice so that you can see for yourself. The CaraWarn blind spot system has also been designed so that it can be easily retrofitted to almost any refuse collection vehicle. We organize the installation at your site by our installation partners. 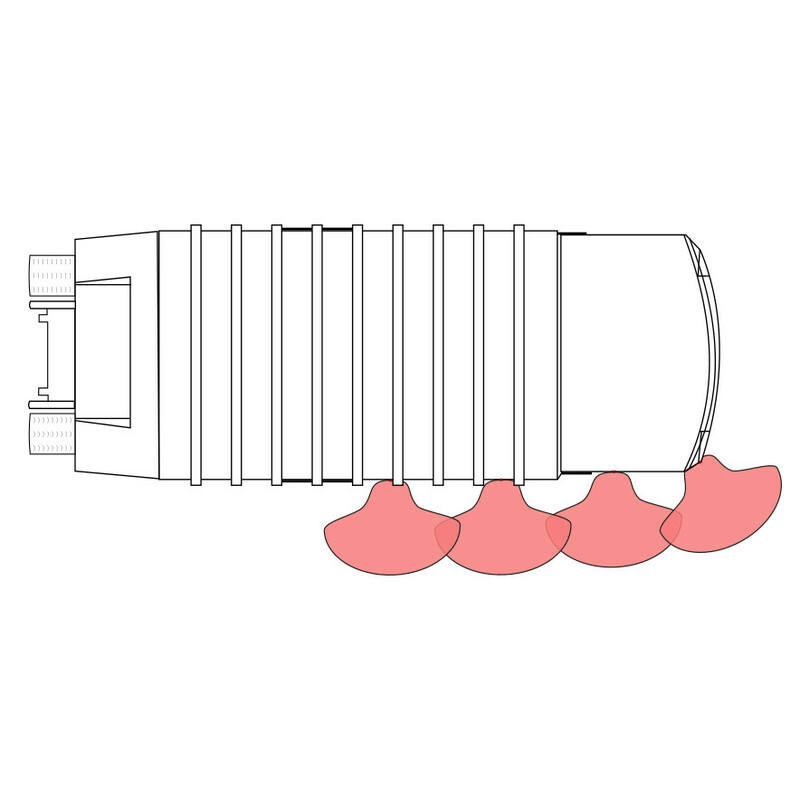 The side scan system can easily be carried out in your workshop or at your depot. 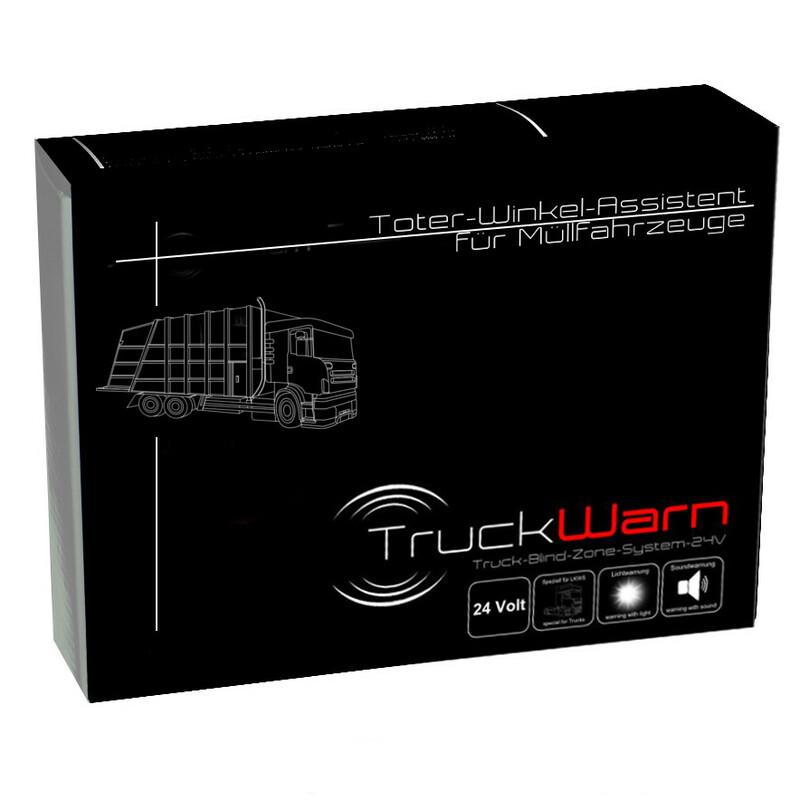 TruckWarn works ACTIVE by day and night for the driver - WITHOUT drawing his attention off the road.